Tig Notaro has been a remarkable comic force for years. Whether she is regaling us with repetitive tales of Taylor Dayne, discussing the observational horror of everyday life, or playing a monosyllabic wife character that is in the middle of busying herself in the other room while trying to answer her fictional husband; she always evokes the feeling of raw humanness. This has never been more apparent than on Live. It is a set of truly heartbreaking comedy. Having been diagnosed with cancer and dealing with a multitude of other personal issues, Tig Notaro releases her feelings the only way a true artist can. Hilariously. Initially released as a digital download in 2012 by Louis C.K., Live is now available on CD and Limited Edition Vinyl. 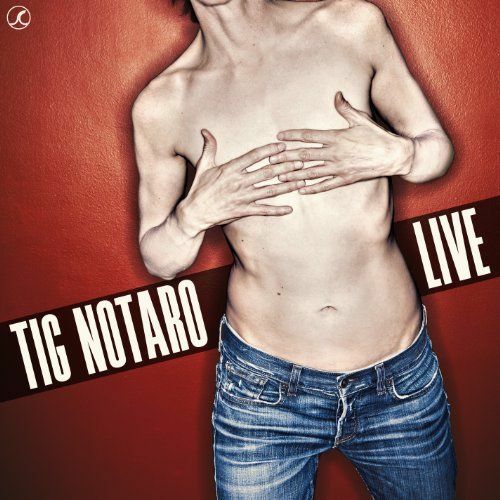 The CD comes with the bonus disc, Tig Notaro Live at the Moth. “Hello. Good evening, hello. 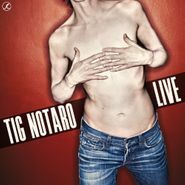 I have cancer, how are you?” That’s the opening to Tig Notaro’s now-legendary set at Largo, which Louis CK introduces. He loved the set so much that he made it available for a limited time on his website, and now you can own it on CD or LP. To put it mildly, Notaro is struck with a series of tragedies — she gets pneumonia, which leads to a life-threatening bacterial infection, then she goes through a breakup, her mother dies tragically and she finds out she has cancer in both breasts. And while Notaro speaks with a palpable weariness, she marvelously weaves her calamities into deeply black, deeply funny comic material. Beyond the hilarious way she makes fun of her own situation, at one point saying she picked up a photo of herself as a child and told it it was going to get cancer, in one memorable bit, Notaro amazingly is able to play off of the audience’s audible sympathy, nervous laughter and silence when she enters particularly dark territory. As Louis CK put it, it’s simply masterful, and painfully funny in the truest sense.